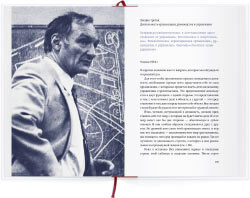 The book is the fifth edition of a course of lectures on management by Georgy Schedrovitsky (1929—1994)—Russian thinker, philosopher and methodologist. The author believes that the activity of organization and management has the leading role in development of any practical spheres. The principles of methodological school of management are based on a deep theoretical and ontological study of organizational management thinking. Knowledge and ideas that the methodology operates are in the form of calls to action or projects of organization of activity (or thinking). Special attention in the lectures is devoted to the systematic approach developed by the Moscow Methodological Circle.